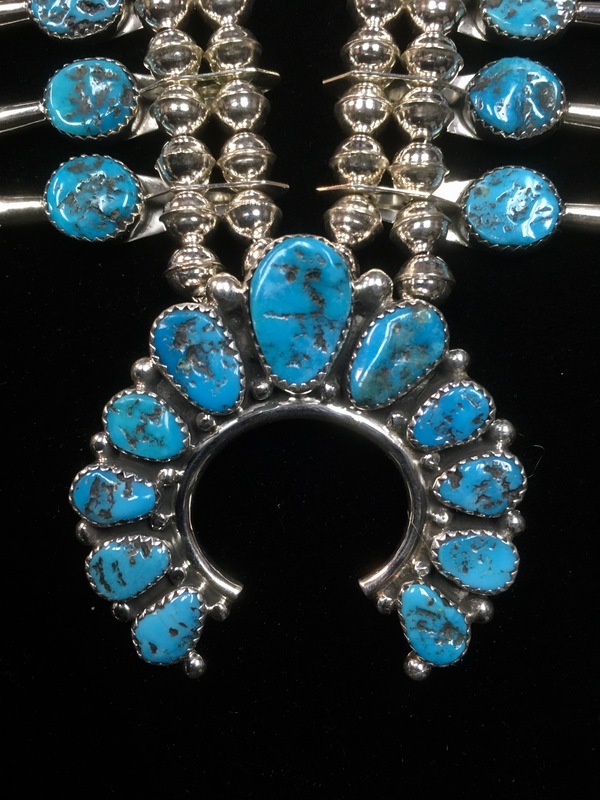 Navajo Native American jeweler C. Roanhorse’s squash blossom is perfect for Turquoise lovers. It features Turquoise stones with a great shade of blue and impressive matrix. 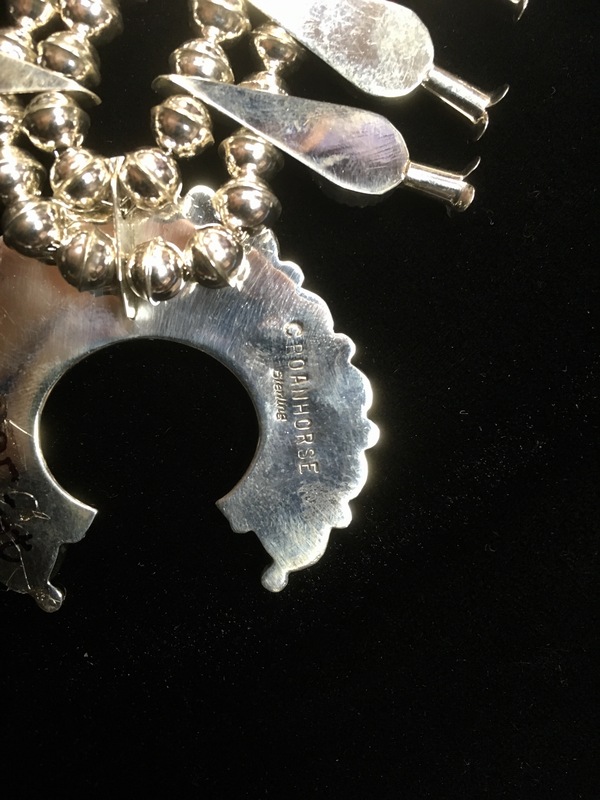 The two rows of Sterling Silver beads makes this squash blossom a nice statement piece. Comes with matching earrings! Hallmarked “C. Roanhorse” and “Sterling”. 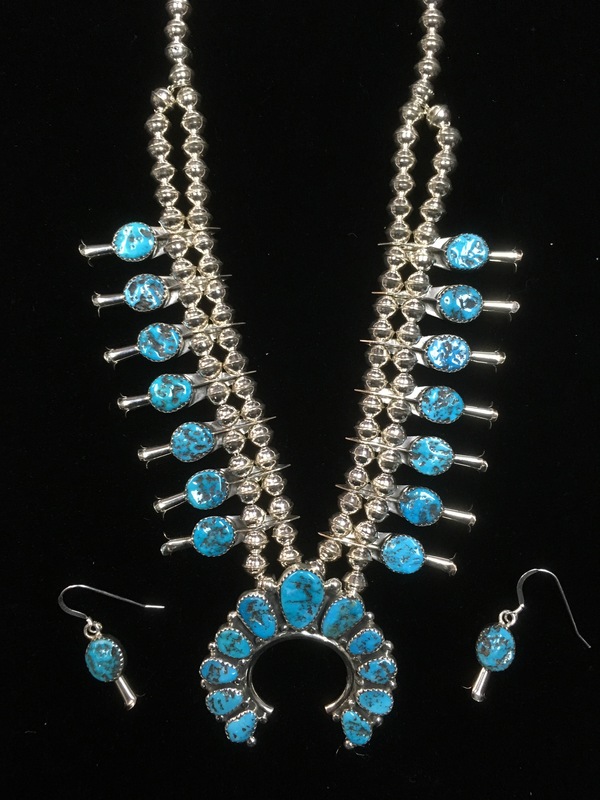 Navajo C. Roanhorse Turquoise Squash Blossom is done by Navajo Native American artist C. Roanhorse with a nice selection of Turquoise and Sterling Silver.